Pumpkin’s days are numbered since Fall “ends” with Thanksgiving. 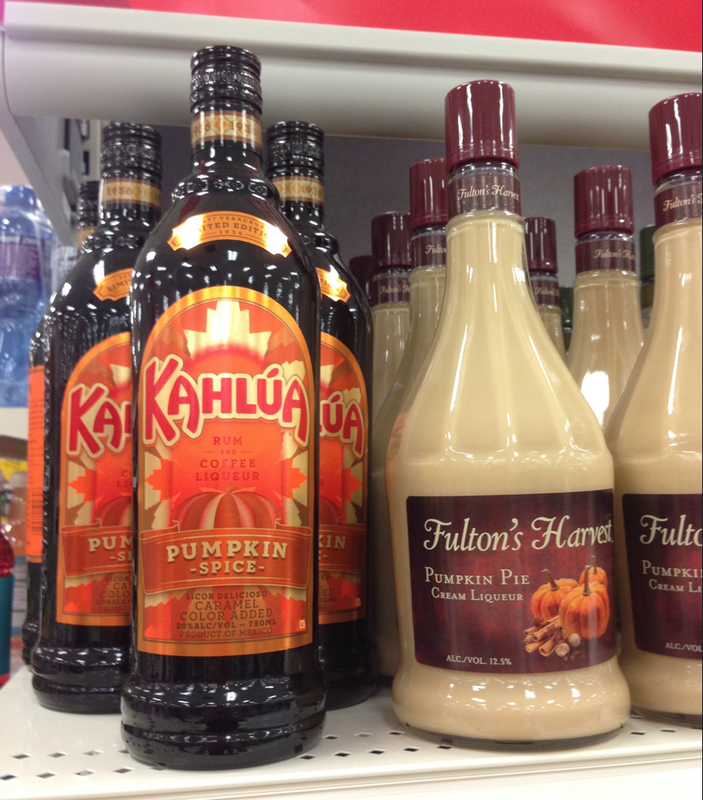 Celebrate a great season with a cocktail using the new Kahlúa Pumpkin Spice Liquor or Fulton’s Harvest Pumpkin Pie Cream Liquor. These two liquors make simple pour-over-ice-and-serve drinks, or you can make a cocktail. Take a look at the following recipes. Combine ingredients in a cocktail shaker with ice. Shake and strain into a chilled martini glass. Garnish with orange zest. Combine coffee, Kahlúa Pumpkin Spice liqueur and half & half in a large mug. Top with whipped cream. Drizzle caramel sauce over whipped cream to garnish. Add ice to an old-fashioned glass, then pour in the rum. Add Amaretto and Fulton’s Harvest, and stir slightly before serving. For those adventurous bartenders/hipsters out there: with a well-stocked bar (and pantry) you don’t need any special pumpkin liquors to enjoy an Autumn treat. Try this more intricate recipe that yields a much more sophisticated and less sweet cocktail. It is FANTASTIC and utterly cool. Rim a chilled martini glass with crushed graham crackers by dipping it in maple syrup and then dunking in the crumbs. Set aside. Add all the ingredients into a stainless steel cocktail shaker filled with ice. Shake and strain into the martini glass.